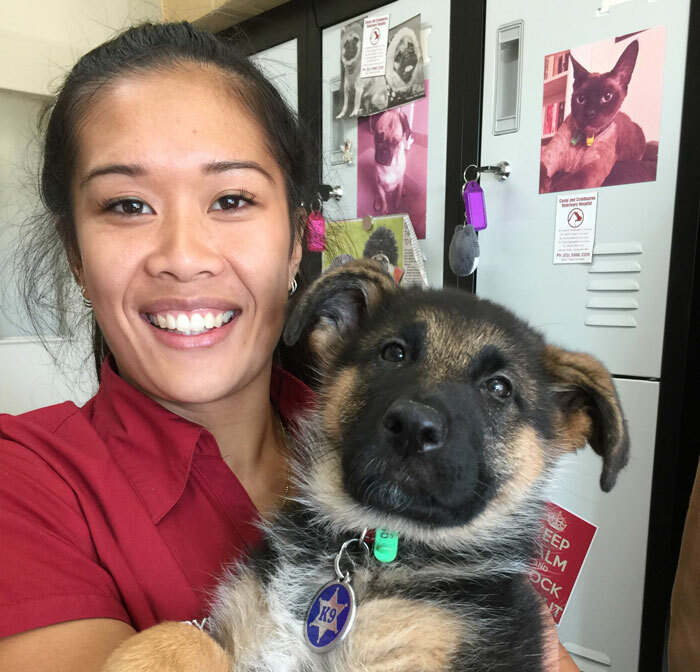 Our caring veterinary nurses in Cranbourne are here to assist you and your pets in any way. 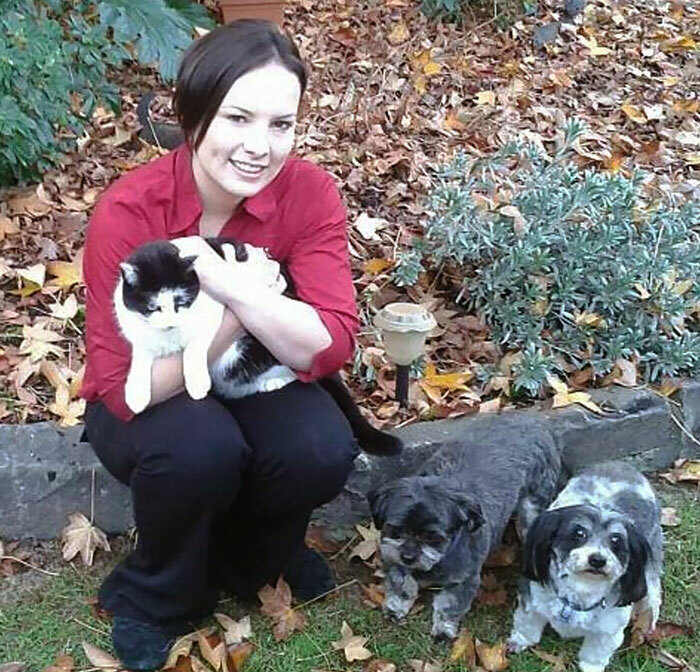 I have been working at Casey and Cranbourne Vets since August 2015. I grew up on a 10 acre property so I have had the greatest opportunity to own a wide range of different animals over the years including sheep, goats, cows, ponies, chickens, rabbits, guinea pigs. Now in suburbia I have my two Labradors ‘Max’ and ‘Duke’ and my two Ginger Tabby’s ‘Hunter’ and ‘Magic’. I enjoy Boxing, Brazilian Jiu Jitsu and Taekwondo with the latter I am a black belt. I also love to read and spend time with family and friends in my spare time. 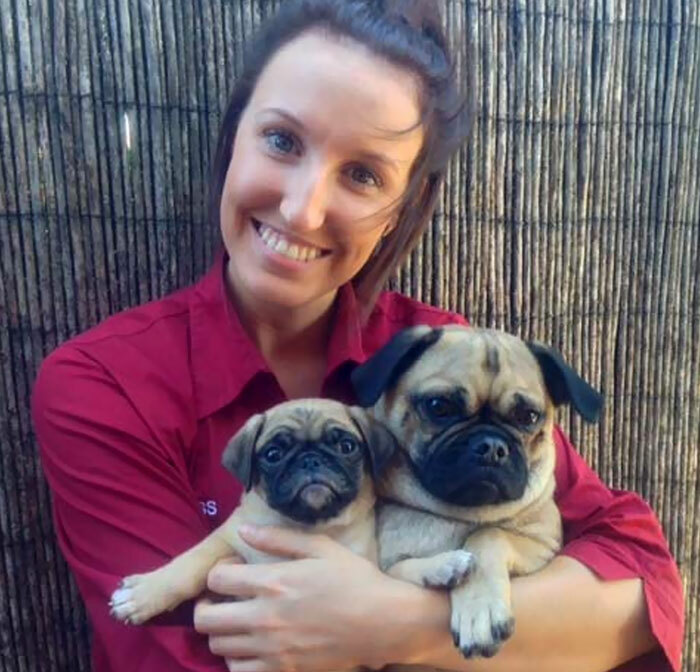 My name is Jess, and I’ve been at Casey and Cranbourne Veterinary Hospital since November 2013. I’ve just completed my Certificate IV in Veterinary Nursing and am very much enjoying meeting all the animals who come in to visit. When I’m not working, I enjoy spending time with family, friends, and my two pugs, Archie and Miley. After realising becoming a vet would involve far too much maths, I completed my Certificate IV in Veterinary Nursing, became a qualified microchip implanter, and recently graduated from Certificate IV in Training and Assessment. I’ve since set my sights on Australian natives and am currently studying Wildlife Husbandry and Rehabilitation through Victoria University, as well as volunteering for Wildlife Victoria. I’ve worked at Casey and Cranbourne Veterinary Hospital since 2008 and run our ‘Slim Fit’ Obesity Program. One of my greatest joys is hand-raising and fostering orphaned kittens, which has earned me the title of ‘crazy cat lady’. I have three cats and two dogs who live with my parents, and another cat who lives with my partner and me. I soon hope to acquire my Diploma in Emergency and Critical care nursing and to specialise in Australian wildlife. 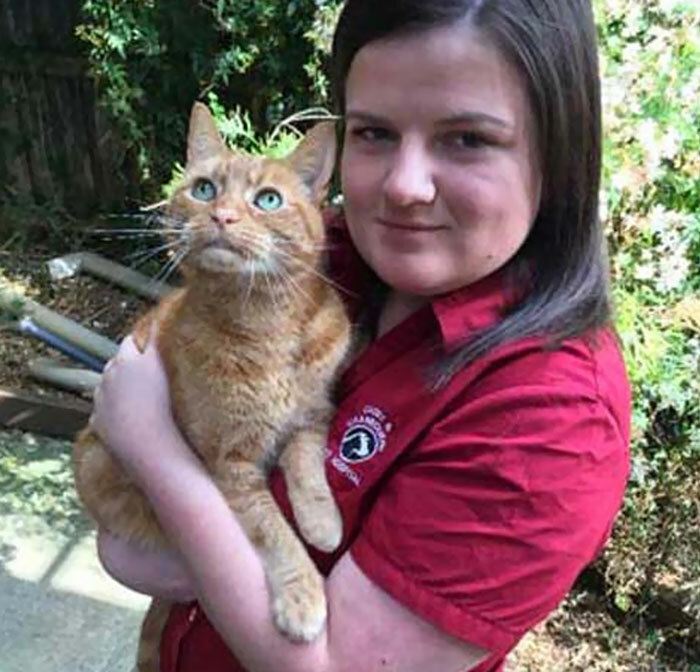 “Hi my name is Robyn and I started at Casey and Cranbourne Veterinary Hospital in August 2016. I’m currently studying my Certificate IV in Veterinary Nursing through Open Colleges. I currently hold a Bachelor of Science majoring in zoology and ecology and conservation biology.